Find a Bon Jovi Tribute Band for hire near you in minutes! Option 1. Enter your event location below & contact a Bon Jovi Tribute Band directly! Option 2. Request multiple quotes from available Bon Jovi Tribute Bands Get Quotes! Option 3. 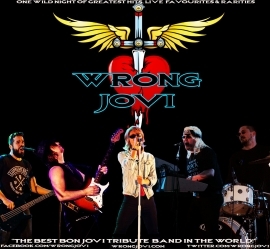 Read information & advice on hiring Bon Jovi Tribute Bands Read Advice! 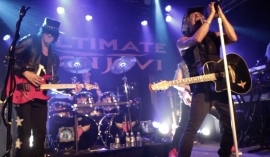 WANT TO KNOW MORE ABOUT BON JOVI TRIBUTE BANDS? Read on for the most comprehensive guide to booking a Bon Jovi Tribute Band, including how much a Bon Jovi Tribute Band costs, exactly what they will do at your event, plus tips, advice and information to help make your event one to remember! WHAT EXACTLY WILL A BON JOVI TRIBUTE BAND DO AT YOUR EVENT? Bon Jovi are regarded as one of the most successful bands of all time! Their mass appeal comes from the fact that their songs cover a wide range of musical genres. They are well known for playing Heavy Rock songs, but they all digress into Acoustic Rock and Rock ballads. They are adored the world over for songs such as ‘Livin’ on a prayer’, ‘It’s My Life’, ‘Always’, ‘Wanted Dead or Alive’, ‘Bed of Roses’ and much much more! The Bon Jovi Tribute Band will turn up at your event and they will look the part as well as playing the songs! You can expect the singer to look like Jon Bon Jovi, decked in a leather or denim jacket! And you can expect the Bon Jovi Tribute Guitarist to look and sound just like Ritchie Sambora! Mainly, a Bon Jovi Tribute Band will entertain your audience with a fantastic live show that will put the wow factor into celebrations and impress your guests, whatever their entertainment tastes may be. WHAT EVENT TYPES ARE BON JOVI TRIBUTE BANDS HIRED FOR? Hire a Bon Jovi Tribute Act for your wedding ceremony entertainment and you can expect a professional group of musicians who will play classic Rock ballads as the bride is walking down the aisle. You may want to choose something sweet such as ‘Bed of Roses’. Or how about the fantastic ‘Always’. This is a perfect time to hire a Bon Jovi Tribute Band especially if you are mad about your classic Rock! Book a Bon Jovi Tribute Band and you will get a talented group of musicians who can play Bon Jovi soft Rock songs to delight your wedding guests with. The wedding drinks reception is the time of day when the wedding guests start to schmooze and sip their first glasses of champagne. The Bon Jovi Tribute Act can be set up to play acoustic songs such as ‘I’ll be there for you’, ‘Never Say Goodbye’, ‘This Ain’t a Love Song’, ‘Keep the Fatih’ and ’Someday I’ll be Saturday Night’. You can request that the Bon Jovi Impersonators perform with just a stripped down version of their band (Singer and Guitarist) to ease the guests into proceedings. If your friends and family are wild about Bon Jovi, then you may want to hire a Bon Jovi Tribute Band to play classic Rock songs at your wedding breakfast?! Search out directory for Bon Jovi Bands for hire near your local area, and you will get a fantastic band who will play songs like ‘These Days’, ‘Have a Nice Day’, ‘Lay Your Hands on Me’ and many more! The Bon Jovi Tribute Act can play as the wedding guests are making their way into the wedding breakfast venue and they will carry on playing until the best man and the father of the bride are ready to make the wedding speeches. They can also play after the wedding cake has been cut, giving the audience something really rocky to get their teeth into! Bon Jovi’s music is perfect for something such as the wedding evening reception entertainment! They will play the greatest hits of Bon Jovi which will get the crowd in the mood to party! You can expect songs such as ‘Runaway’, ‘Bad Medicine; ‘In and out of Love’ and the mighty ‘Livin on a Prayer!’. ‘Livin’ on a Prayer’ is probably Bon Jovi’s best known song and is one of those songs that transcends generations! Everybody seems to love it and everybody seems to be able to recall a special moment where they have sung the lyrics: ‘Oh, we’re half way there, woah, livin’ on a prayer!’ whilst head-banging! The Bon Jovi Tribute Act will surely leave everybody smiling from ear to ear! Corporate events such as annual work parties are important in that they bring the coworkers together. It could be that your company’s department’s don’t usually mix? Well that’s what the work party is great for! Hire a Bon Jovi Tribute Band for your work party and you can bet that by the end of the night, your bosses, co-workers and clients will be arm in arm, jumping about to the the power of Bon Jovi! A live band is an excellent choice for the entertainment at your work party as they make for wonderful ice-breakers! The Bon Jovi Tribute Band can play at an end of the financial year party, a Christmas party or a colleague’s leaving party and they will unite people time after time! You may also want to hire a Bon Jovi Tribute Act for a trade show or a product launch? The Bon Jovi Tribute Band can get the big guitar riffs out at a shopping centre or a shop to sell your product! The reason they would be ideal for such an occasion is because Bon Jovi have a wide appeal that everyone can enjoy, so they will no doubt create a buzz and generate interest surrounding your product. Maybe you can have an extra microphone set up on stage and invite potential clients to sing along to Heavy Rock classics?! We would highly recommend hiring the Bon Jovi Tribute Band for a 1980s themed party! The Bon Jovi Tribute Act will be the perfect live band to accompany your party guests in their 1980s outfits! The Bon Jovi Tribute Band are also ideal if you wanted to hire live music for your night of Heavy Rock! Make sure you wear your denim jacket and mullet as you head bang your way through Bon Jovi’s greatest songs! HOW MUCH DO BON JOVI TRIBUTE BANDS COST TO HIRE? Our simple to use entertainment directory allows you to firstly search for the best Bon Jovi Tribute Bands who are local (or travel to your area) and then via the contact form you may message them directly to enquire for a no obligation quote to perform at your event. Some acts will also add a rough price guide to their profile for your convenience. WHAT ARE THE USUAL SET FORMATS AND PERFORMANCE LENGTHS FOR BON JOVI TRIBUTE BANDS? A Bon Jovi Tribute Band can tailor their performance to times to suit you and your event, however, on average, a professional Bon Jovi Tribute Band will perform for two 45 minutes sets. HOW MUCH SPACE WILL A BON JOVI TRIBUTE BAND NEED AT YOUR EVENT? This will depend on how many members the Bon Jovi Tribute has. If it’s a 5-piece band, then we would suggest a stage area of 5 metres wide by 3 metres deep, but we would advise to contBand the band personally using our messaging service to enquire with them. WHAT EQUIPMENT AND SET UP REQUIREMENTS DO BON JOVI TRIBUTE ACTS NEED? all of their own equipment. You may want to enquire if an artist needs a PA to amplify their sound, in which case we would advise to use our easy to use messaging service to find out. We do ask that each performer gets a backstage area in which they can prepare for the performance ahead. If your venue does not have a backstage area, then we kindly ask that you enquire with the venue to seek an alternative space in which the performer can comfortably get ready to entertain. 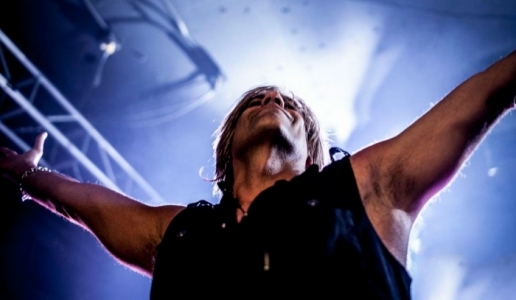 HOW CAN YOU FIND AND BOOK A BON JOVI TRIBUTE ACT WITH ENTERTAINERSWORLDWIDE.COM? WANT TO RECEIVE A RANGE OF QUOTES FROM Bon Jovi Tribute Bands?